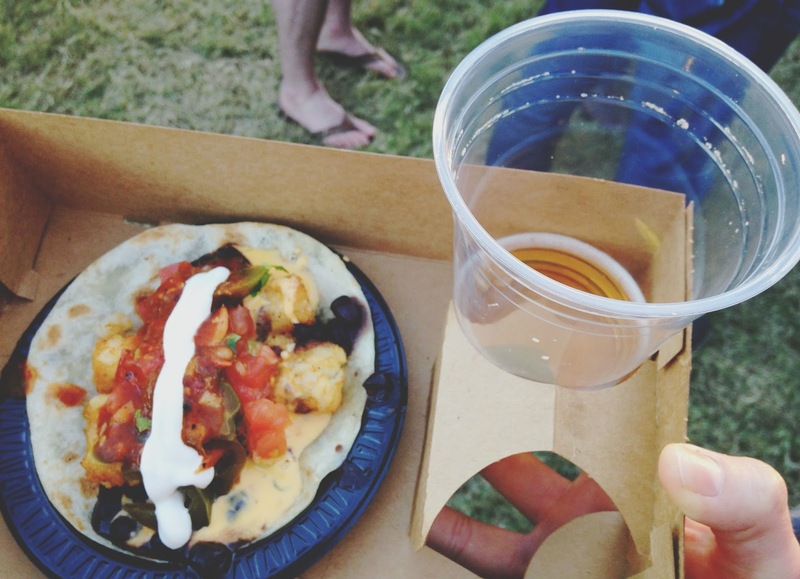 This post was done in partnership with the Houston Press, who provided me with my ticket to Tacolandia. I was not monetarily compensated for writing this article. All opinions are completely, 100% my own! Thanksgiving is Thursday, so let's talk about tacos. You know, while we still can? 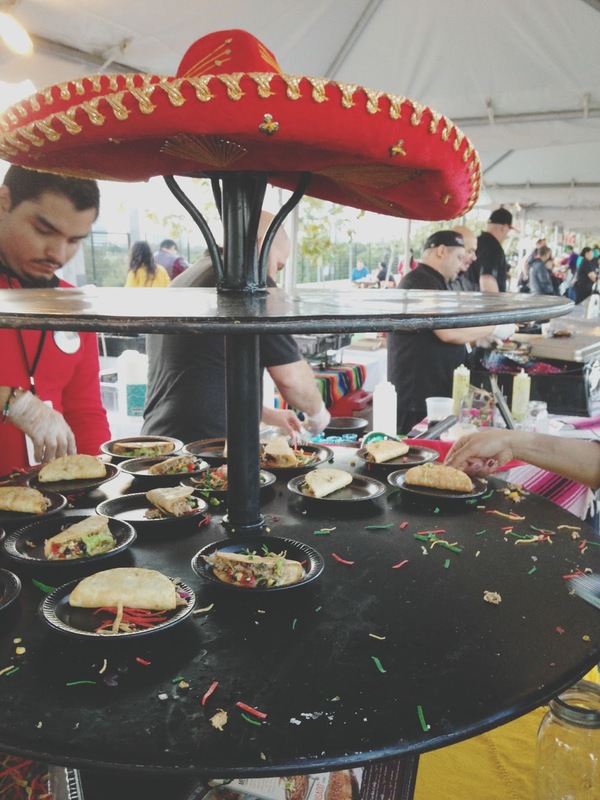 I was excited and honored to have been a project partner of the 2015 Houston Press Inaugural Tacolandia, which took place in Buffalo Bayou Park a couple of weekends ago (I know, I'm way backed up on blog posts, BLAME THE HOLIDAYS.)! 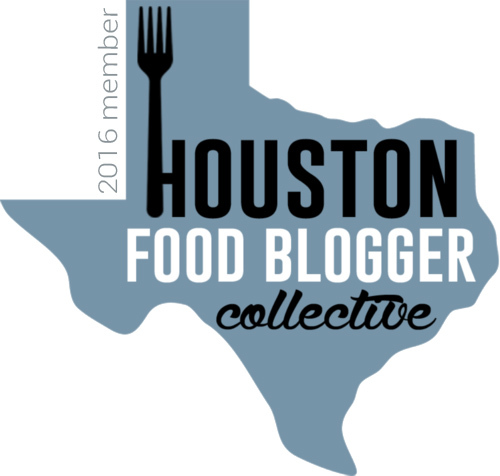 Three hours devoted to sampling food (mainly tacos) from several Houston-area restaurants? Sign. me. up. 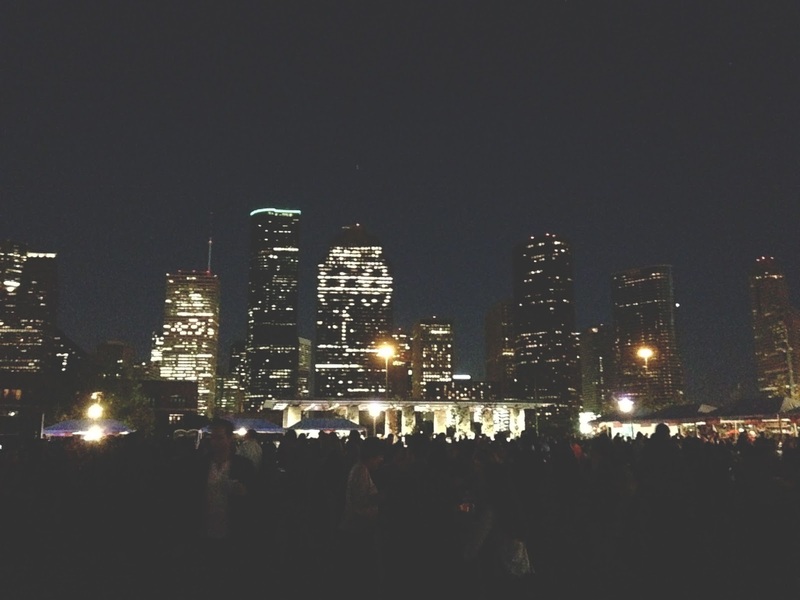 The event was originally set for one of the crazy rainy Houston weekends in October and had to be rescheduled. Luckily, taco lovers are a serious bunch, and there was still a great turnout! I took my friend Sarah as my date, and we met up with our friend Renee and her boyfriend Bryan. When we first walked in we were provided with a tray to put our tacos in, as well as a token to vote on our favorite taco/restaurant. For as many restaurants, people, and food as there were, I was incredibly impressed with how organized and clean everything was. 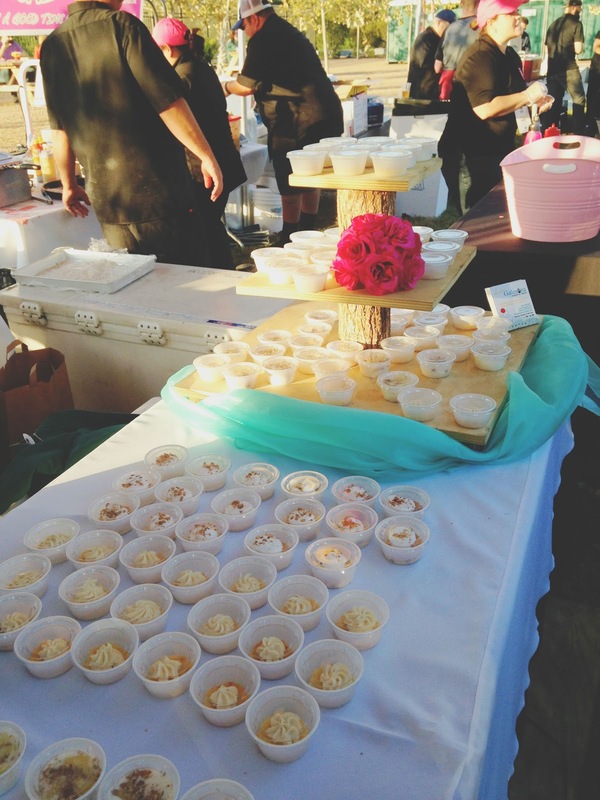 The only downside for me was that being a vegetarian made my sampling experience a bit limited. Fortunately, I was still able to try some darn good food! While Los Tios didn't have a vegetarian taco, per se, they had a phenomenal assortment of toppings, like fresh guacamole, cotijo cheese, and warm queso, which made for a delicious vegetarian plate. Sweet Galeanna provided food in the form of mini cakes to cleanse the pallet a bit. I lost my mind over their corn bread cake with a cream cheese frosting! But my absolute favorite of all the Houston tacos in all the land was the tater tot taco from Tacos A Go Go. And yes, they obviously won my vote! 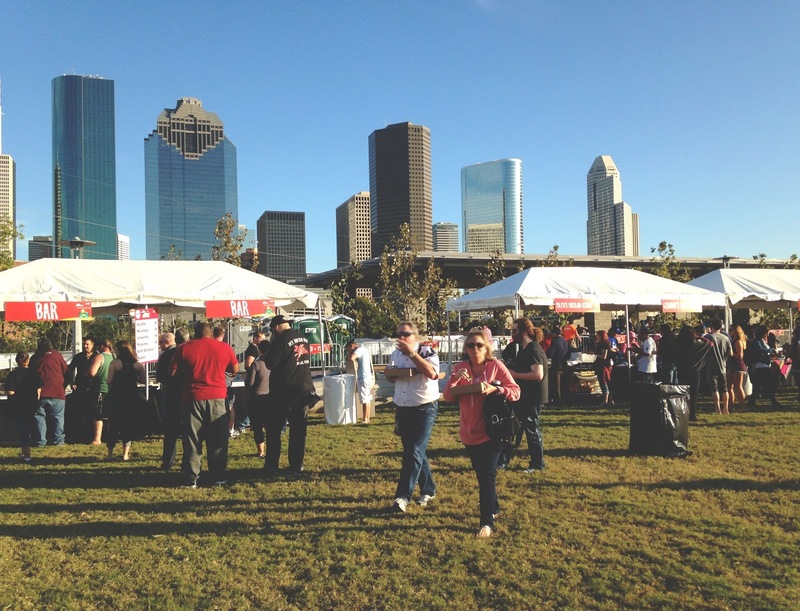 The Houston Press Tacolandia was a great way to spend a fall afternoon in Houston. 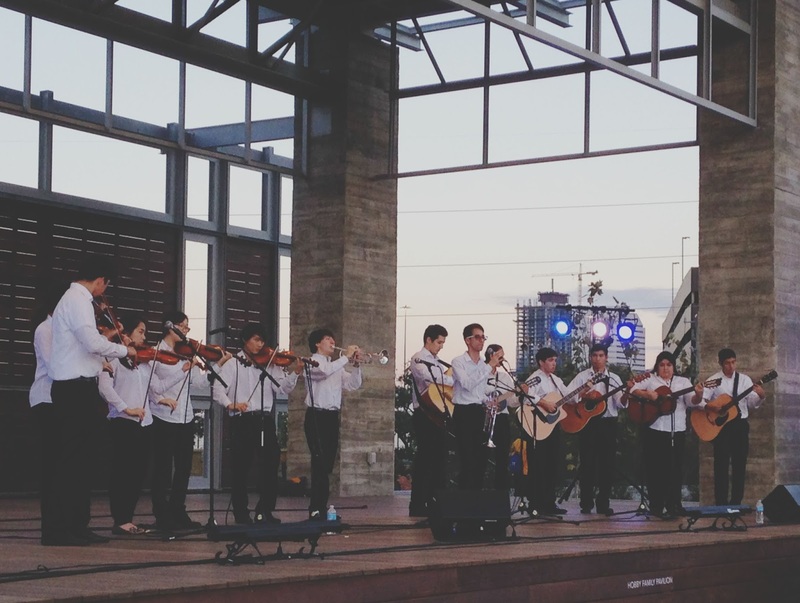 The weather was perfect, the setup was clean and simple, the views of the city were fantastic, the energy was lively and fun, the local restaurant turnout was great, and the food was exciting and delicious! Even though I wished more restaurants had offered vegetarian tacos, I was very pleased with what I had. 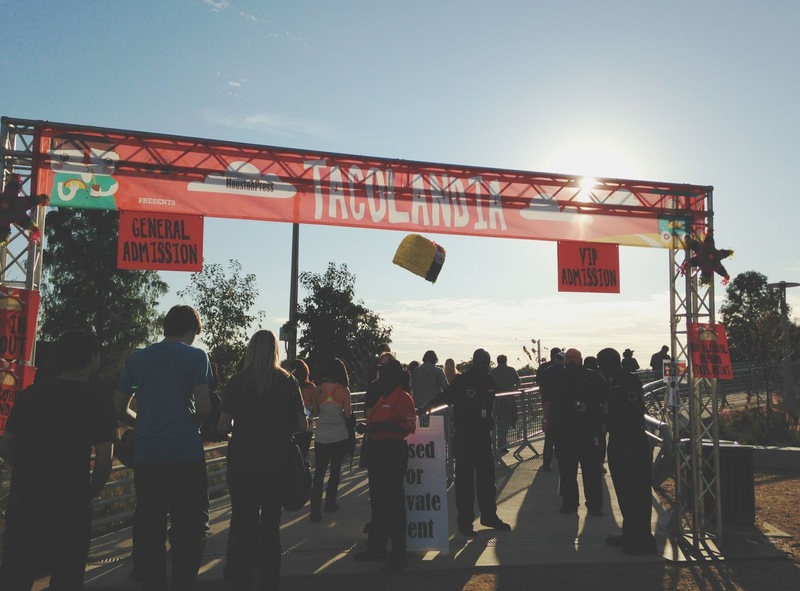 It was definitely a great event, and I look forward to the next Tacolandia! t a c o . t u e s d a y . 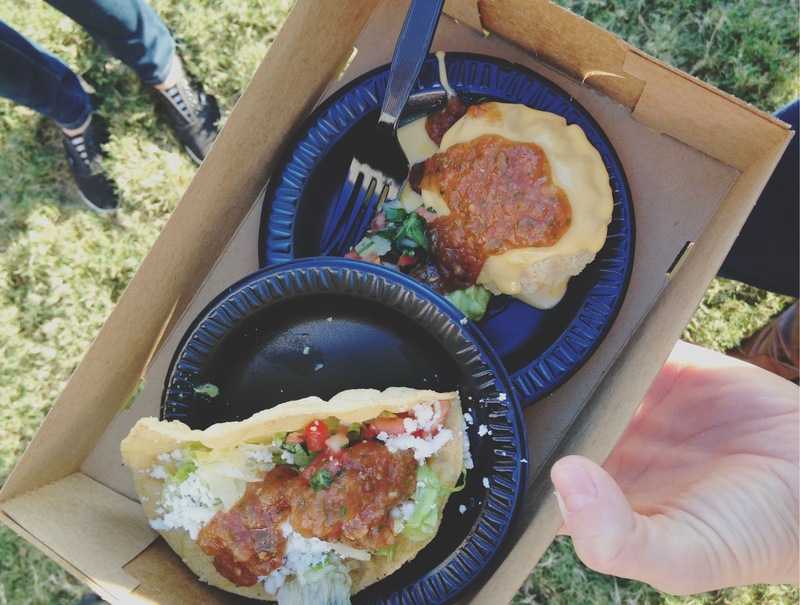 Still dreaming about that tater tot taco! I need to find out if it's on their regular menu. If so, I'm in trouble because it's so close! Ugh, SO GOOD. Jon says he doesn't think that taco is on the menu, which is probably for the best for our sakes, BUT what if it's on like a SECRET MENU?! That would be incredible!